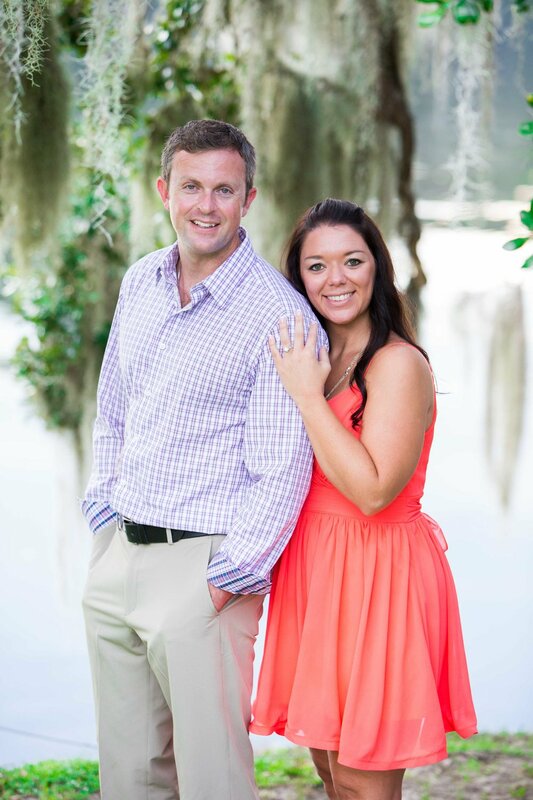 Alisha and Zachary had their engagement session at the gorgeous Wachesaw Plantation in Murrells Inlet, SC. 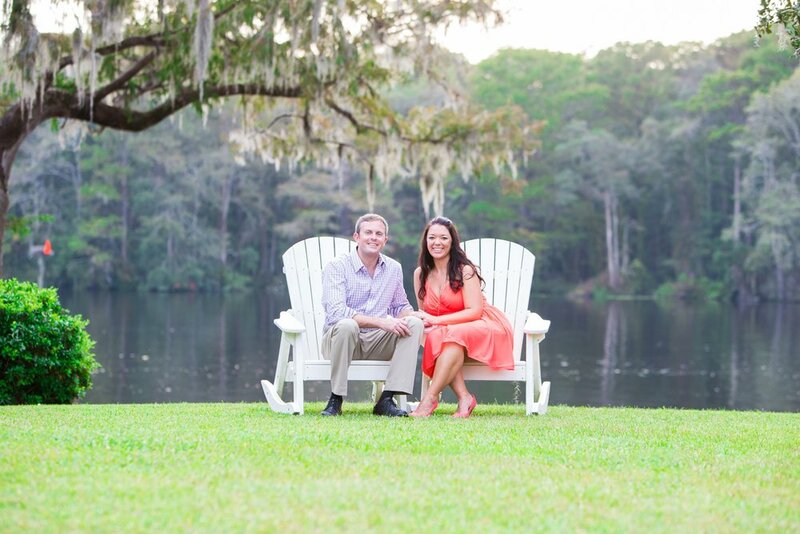 Surrounded by oak trees and with the Waccamaw River as a backdrop we had a lot of fun showing off the love That Alisha and Zack share. 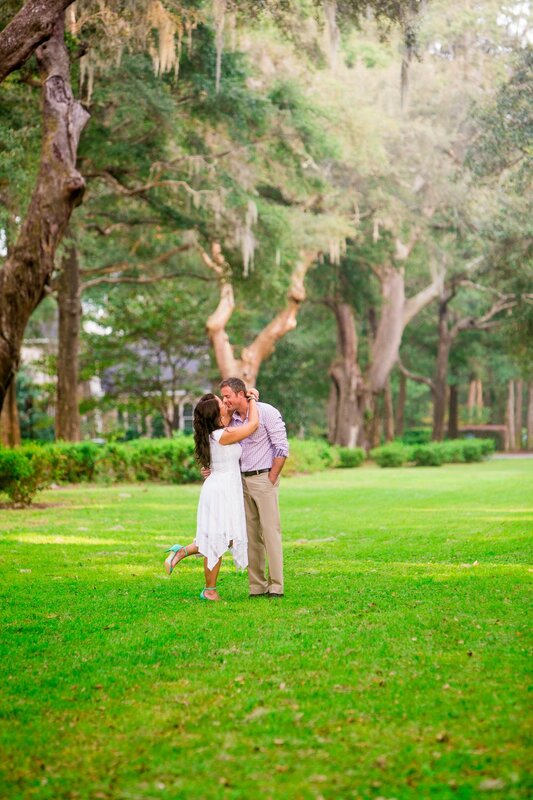 The afternoon started off rainy but later turned into one of the most beautiful sunny evenings! 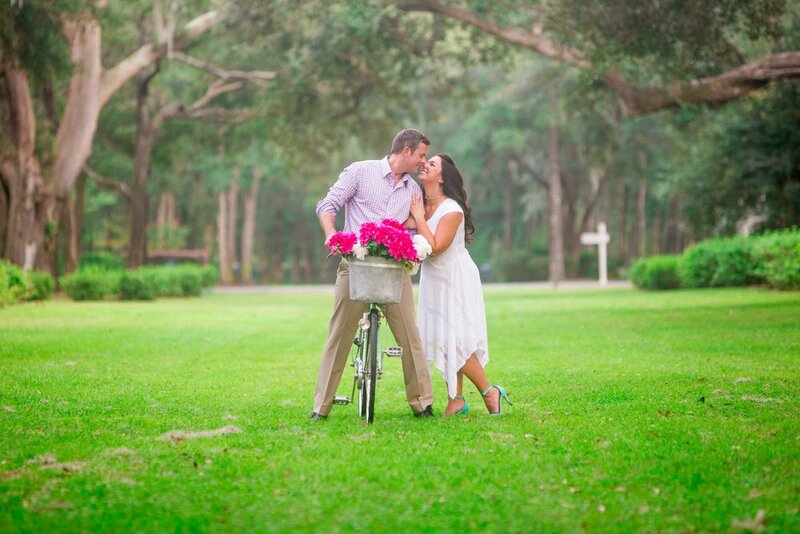 We brought over a lovely antique victorian loveseat as well as an antique bike and just let the fun begin! 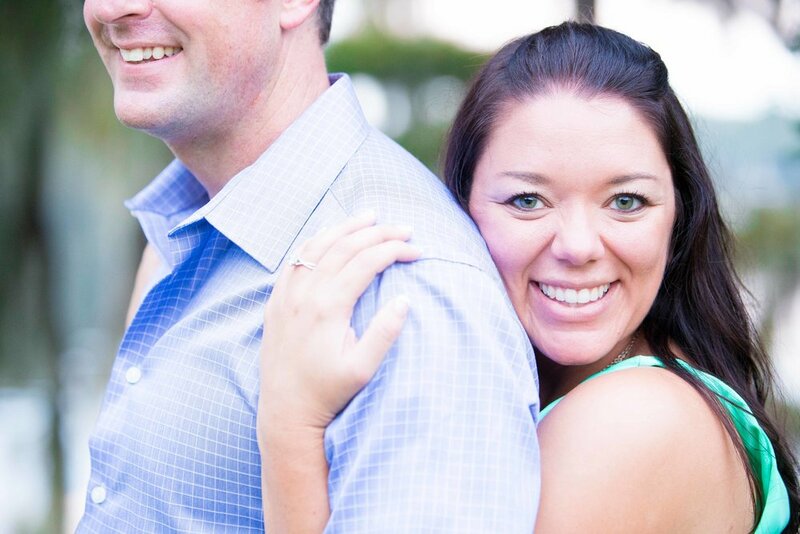 These two are like two peas in a pod. 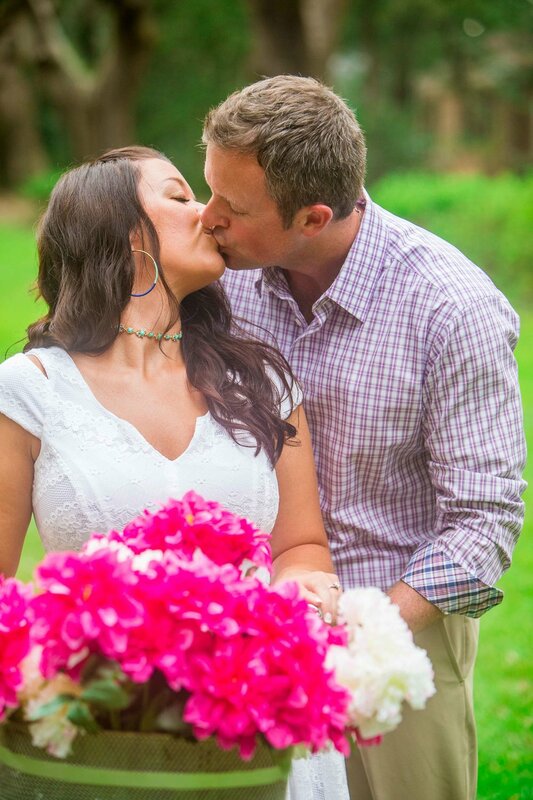 From the moment I met them I knew they were going to be a super fun couple as their radiant love for each other would surround everyone around them. 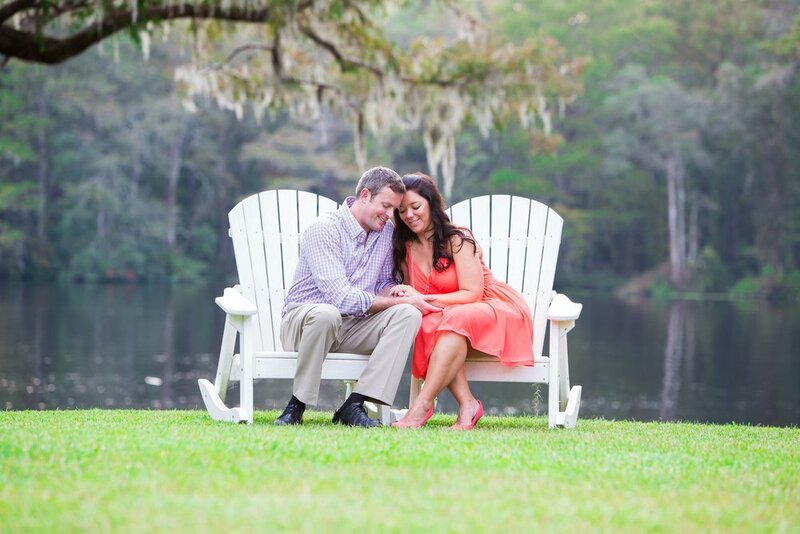 Any Myrtle Beach photographer will tell you that choosing Wachesaw Plantation for your engagement pictures and your wedding is a fantastic choice. 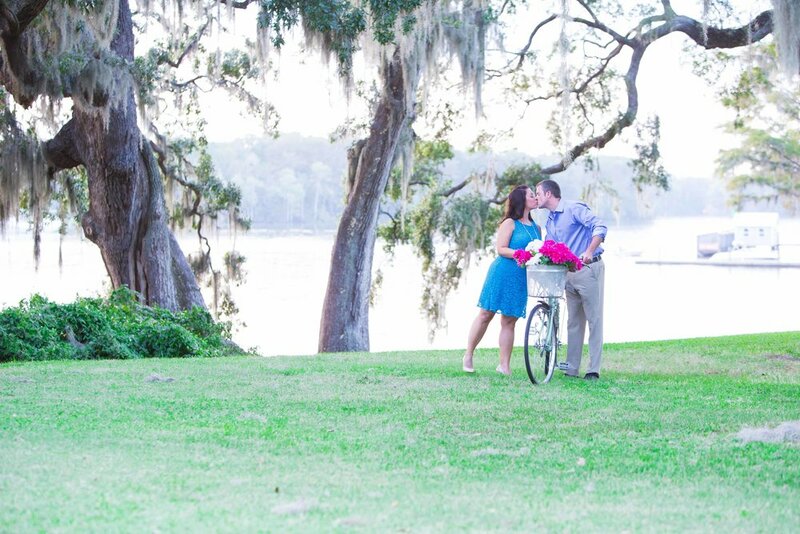 A spectacular setting unlike anywhere else in the Carolina Lowcountry . 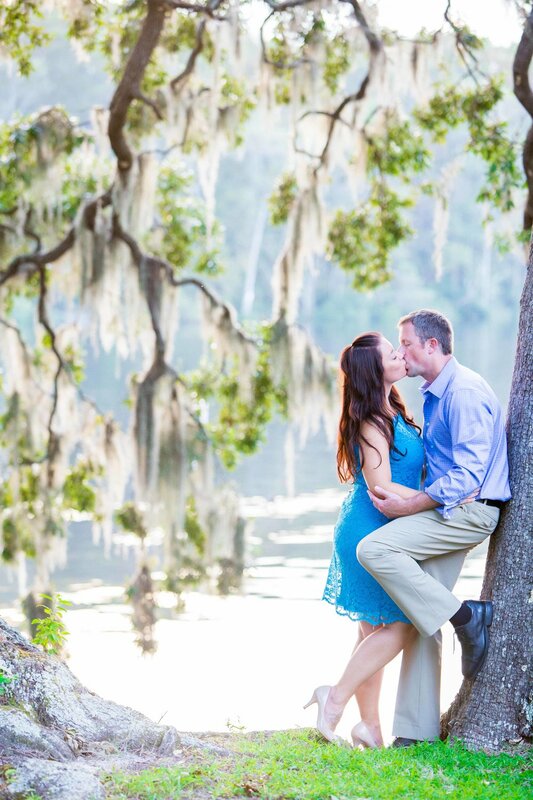 . . on the bluff overlooking the Waccamaw River, nestled among live oaks dripping with Spanish moss . 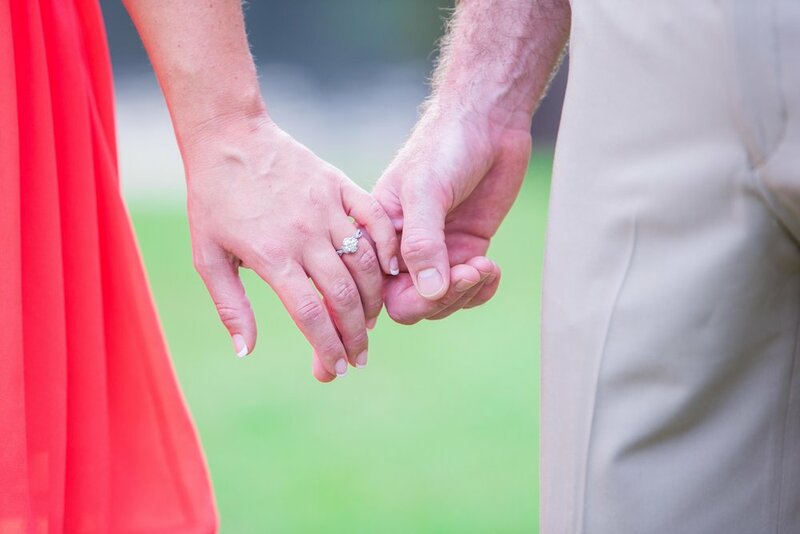 . . just the starting point for perfect pictures. 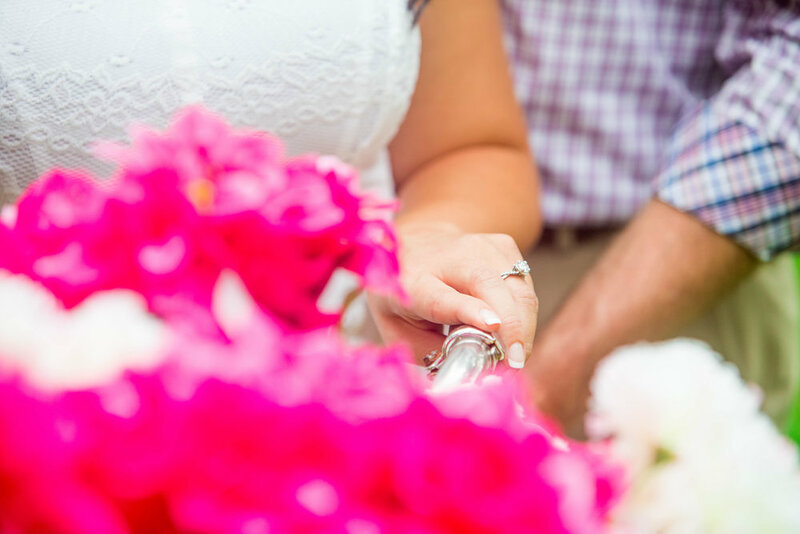 We had a wonderful time with this lovely couple and I was stoked about the theme ! Wachesaw Plantation and Golf Club is a spectacular course crafted by one of the most acclaimed designers of all time, Tom Fazio. 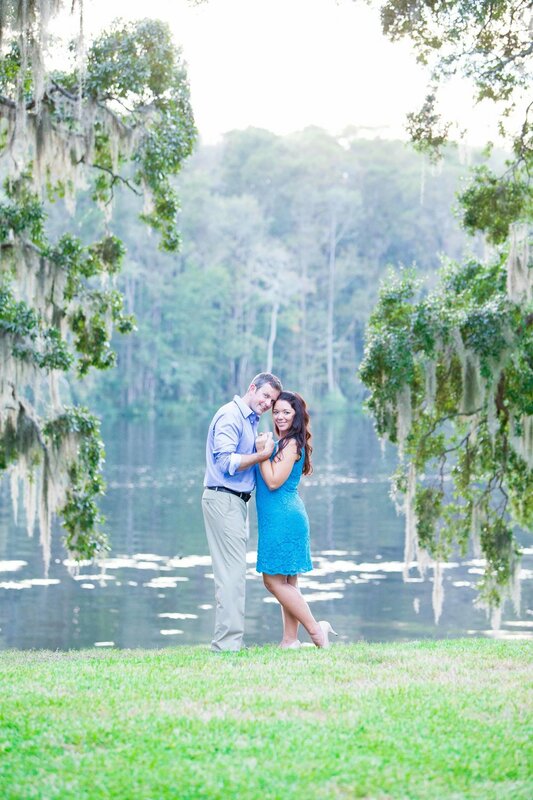 Alisha and Zack were in love with the southern look, the Spanish moss and water views as well as all the greenery that is prevalent here. 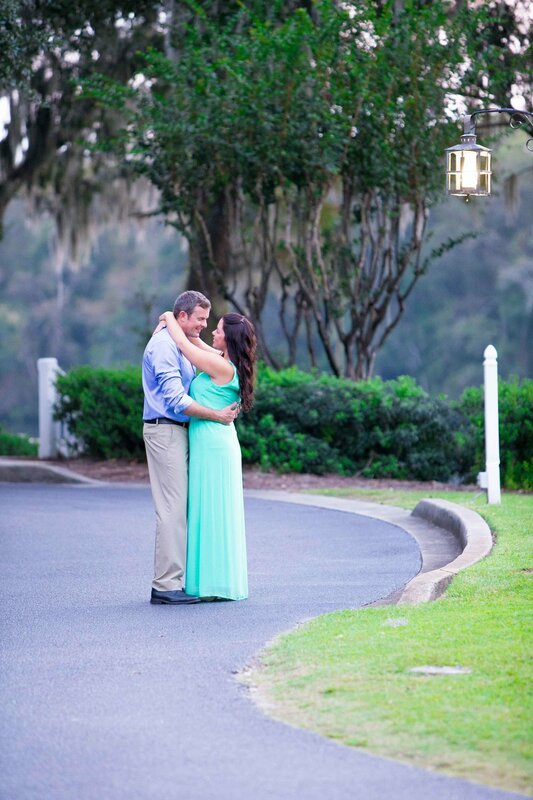 Their wedding will be held in Hilton Head, SC on another gorgeous plantation that I can't wait to photograph at. 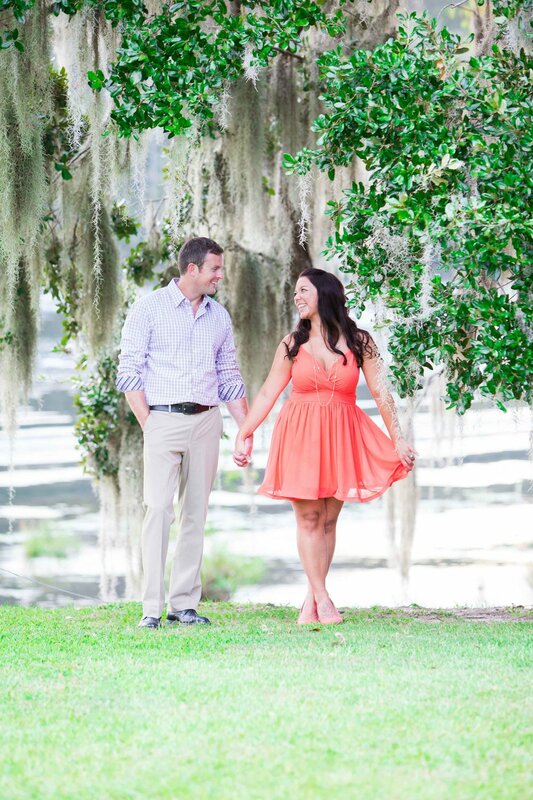 Here are some of my favorite portraits from Alisha and Zack's Lowcountry style engagement session. Enjoy!